Happy Wednesday! Finally we are seeing some sun here in Canada and loving it! Hopefully it’s here to stay. The inspiration for this post is from my boyfriend. For weeks now, he has been checking out the flavoured rice in the stores and has been trying to sneak them into our shopping cart. Despite their appeal as a flavourful side dish to a meal, they are loaded with lots of unrecognizable ingredients as well as salt. One serving of rice contains 20% of your daily salt intake, and you never only eat a serving of flavoured rice, you finish the box! I have been determined to make a healthy flavoured rice at home substituting the high sodium content for flavourful healthy spices in order to satisfy my boyfriend’s cravings. 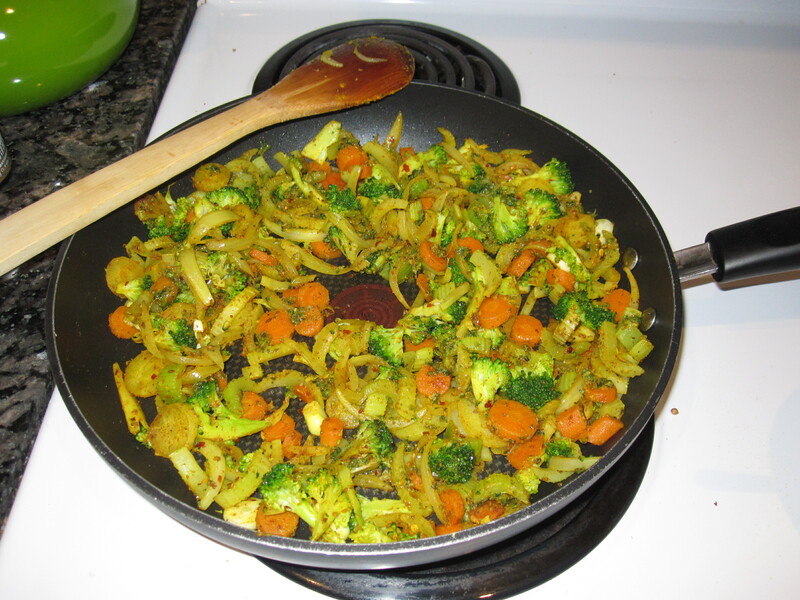 Today, I wanted to give you an easy recipe for a weeknight meal which involves lots of good for you spices! 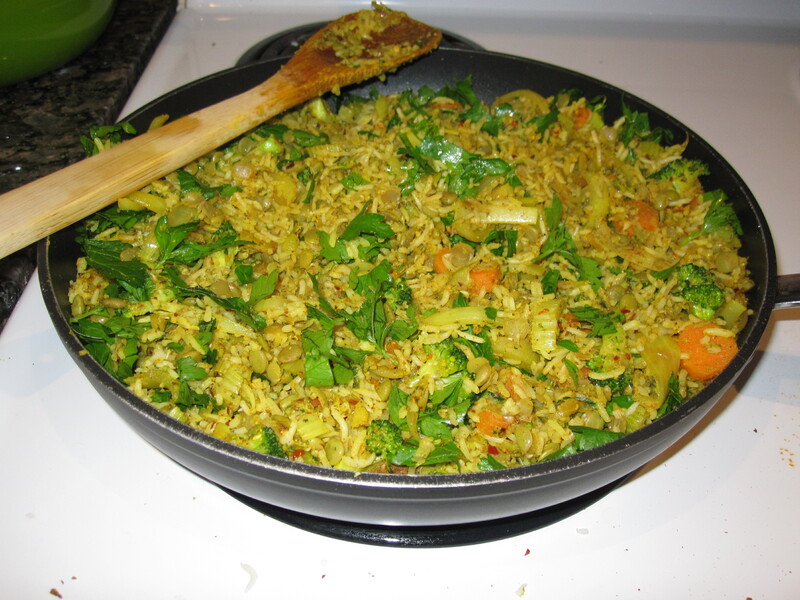 The dish is vegetarian and contains good protein from lentils and lots of flavour and added health benefits from all the spices! … and it’s boyfriend approved! From the ginger family, gives a beautiful yellow-orange colour to dishes and has a slight citrus flavour. + it is a natural pain killer (COX-2 inhibitor), so take some tumeric instead of reaching for a tylenol! A mixture of black pepper, cardamom, cinnamon, cloves. + Cloves have the highest antioxidant count of any food! Well without further ado, here is the recipe! 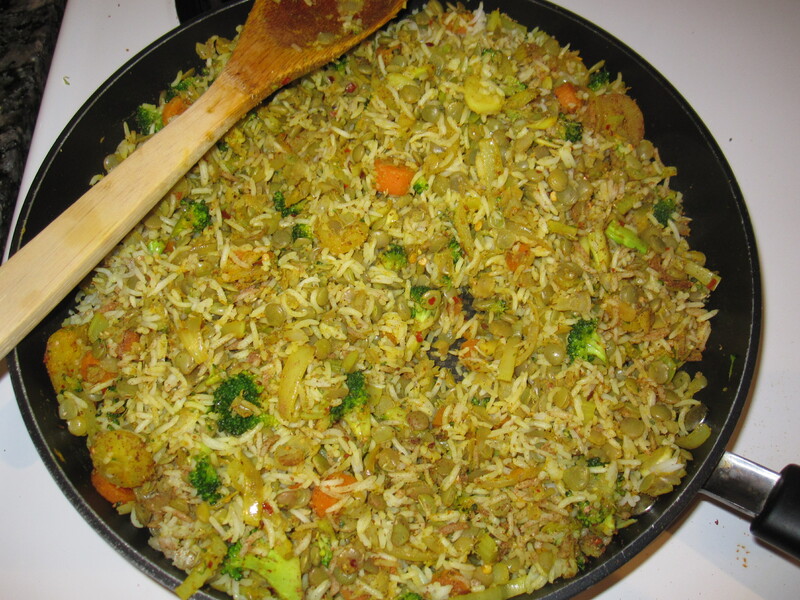 Good For you Flavoured Rice with Lentils and Lots of Veggies! This may sound like a lot of ingredients, but you should have most of them on hand at home! 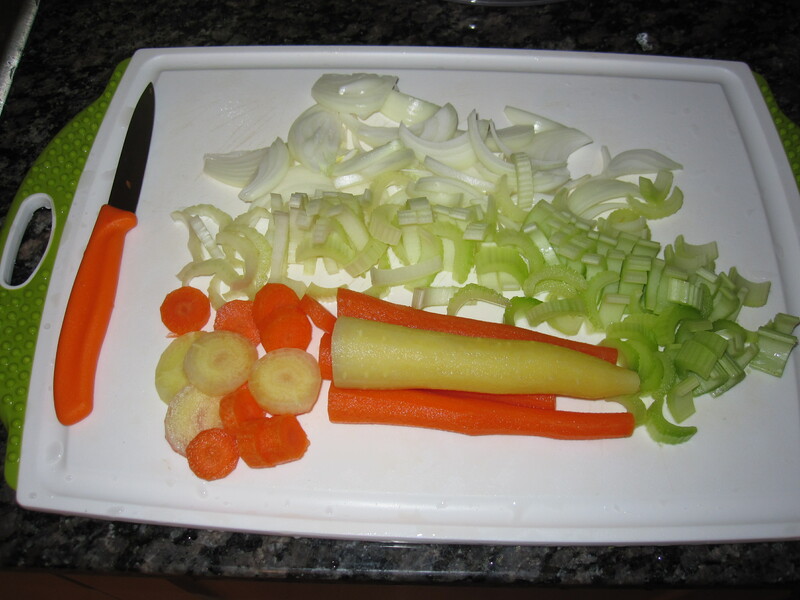 Directions: In a large pan, heat up oil on medium heat, add sliced onions, carrots and celery. 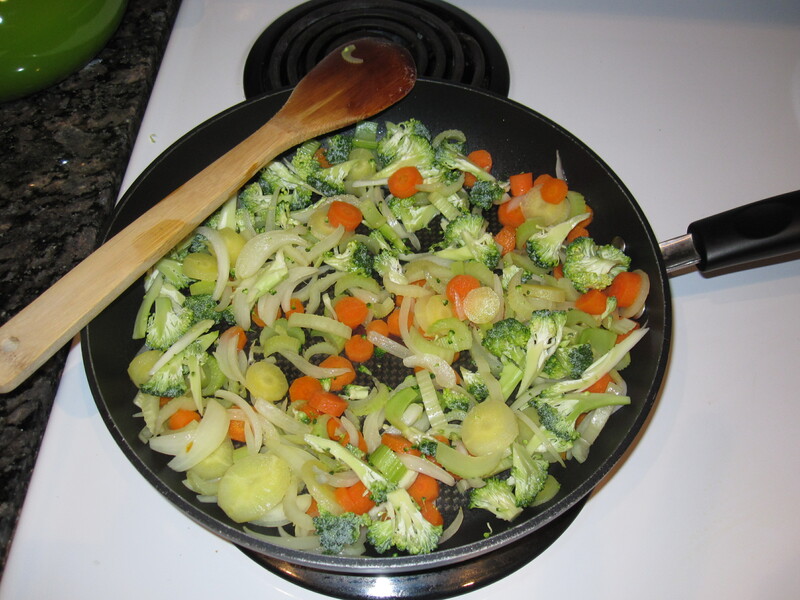 Fry for 5 minutes until onion becomes translucent and add chopped brocolli. Lower heat to medium-low. 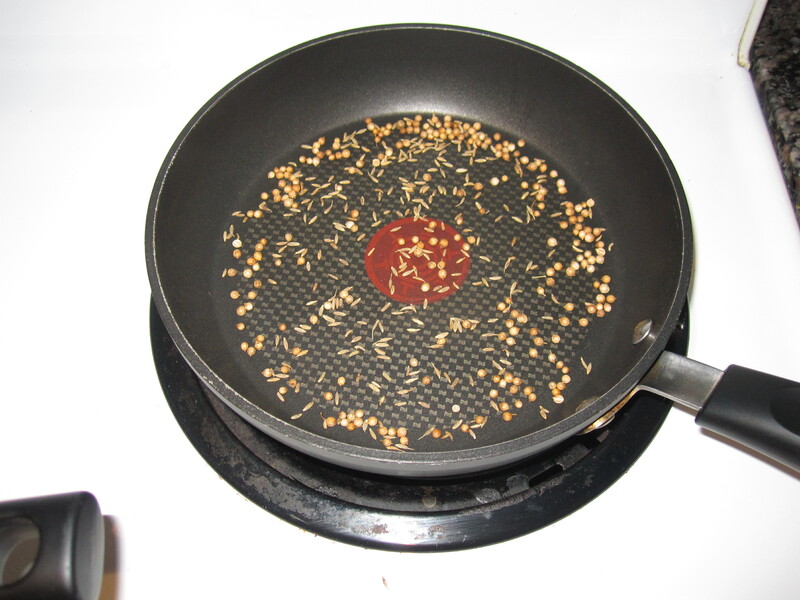 In the meantime, heat up a small pan to medium heat and add 1 tbsp coriander seeds and 1 tbsp cumin seeds. 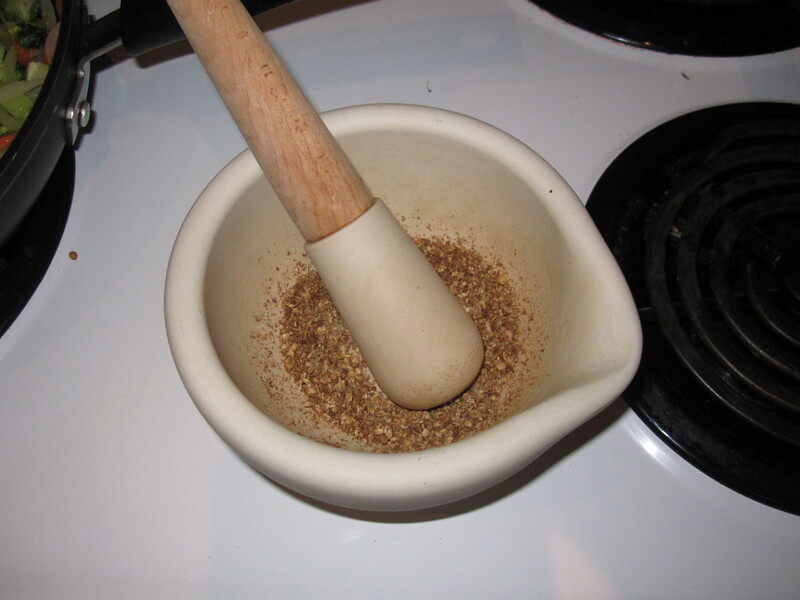 Toast for a few minutes until you start smelling the aromatic spices and then transfer to a mortle and pestle and grind to a fine powder. Add coriander and cumin ground, garam masala, tumeric, chilli flakes, salt, pepper, ground ginger, ground garlic and chopped garlic to pan and the walnut and parsley pesto, or another tbsp of oil. 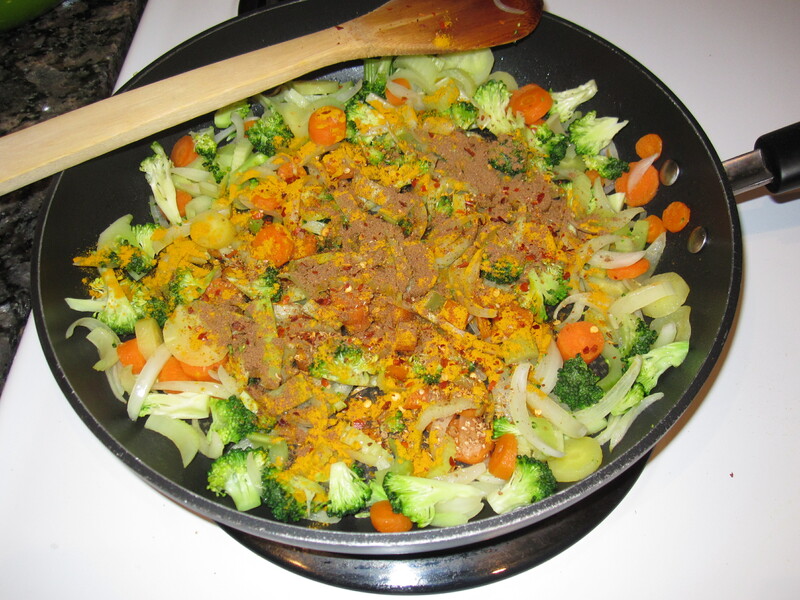 Cook for a few minutes until spices are incorporated. I would recommend adding the spices slowly and tasting as you go, you don’t want to end up with a dish that is too spicy to eat! Thank you for that amazing recipe and for all the info on the spices! I see my spice rack in a whole different light! !